Vitalistic aquatic bodies are entagled in networked industrial complexes, struggling for release. The structural components manufactured to initiate maximal extraction of subterranean ancient ooze, feeding the anthropocentric desire of infinite accumulation. Yet a ontological weirdness emanates from the depths; ROV submersibles, controlled by remote touch-feedback responses, become strange ontological auxiliaries in a ritual of worldly mutation. A dark actor of cosmic toxicity. 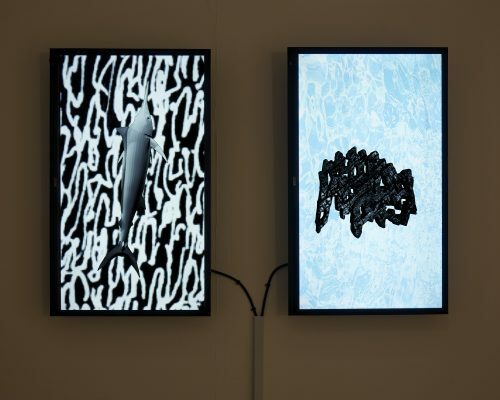 “Submersible Extractions” speculates on technology and fossil fuel industrial infrastructures, the points of contact between a submerged “outside” (or “ancient underground”) and the emergent entities that reside in antediluvian zones. Gerard Carson (based in Belfast, Northern Ireland) works in sculpture, video, and animation. Carson is a current co-director with Platform Arts and is one half of collaborative project “Goo Notorious”, alongside London based artist Andrew Rickett. He graduated from the University of Ulster School of Art & Design in 2010, studying in BA Fine Art and completed an MA in Fine Art at the Chelsea College of Arts in 2015, where he was a recipient of the Frank Bowling Scholarship award. Carson has had works exhibited in Germany, France, UK, Ireland, and China. During the course of his practice he has been a studio member of Array Studios, LOFT Studios, and Maxilla Studios. 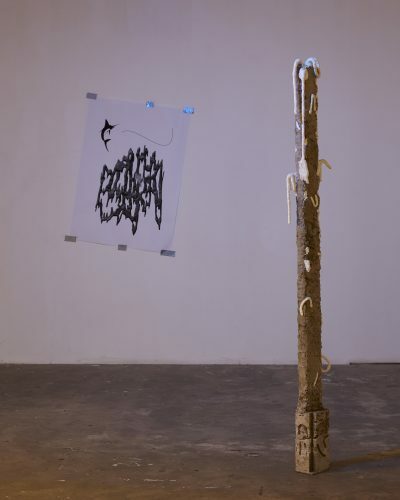 Carson has also been the coordinator of the Maxilla Studios Reading Group (MSRG), acted as a project mentor with UAL CCW Projects, and as a curator at Maxilla Space.